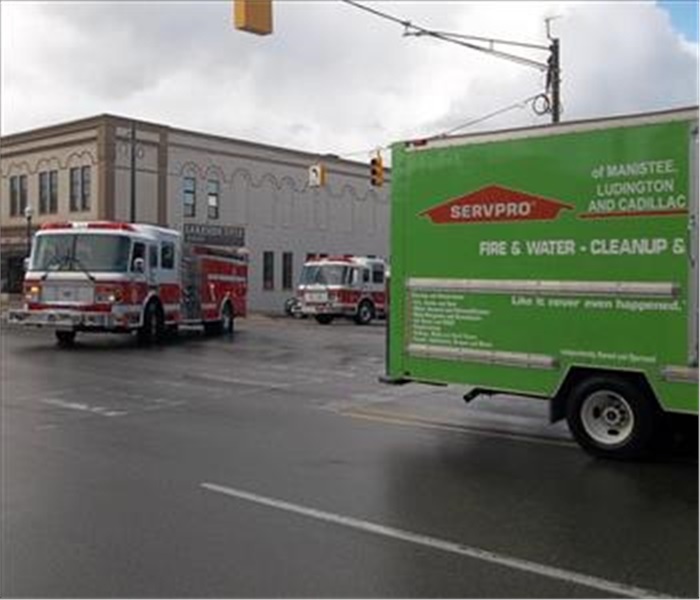 I am one of the 2 Owners of SERVPRO of Manistee, Ludington and Cadillac. I have been a Mason County resident my entire life. I am happily married to my wife Susan who is a teacher at Ludington Area Catholic schools right here in Ludington. Together, we have 3 beautiful children. I am also the owner & operator of a cattle farm in Free Soil and have been for more then 40 years. I began my journey with SERVPRO in 2002 as Operations Manager. I then worked up to Partner/Owner in 2008. 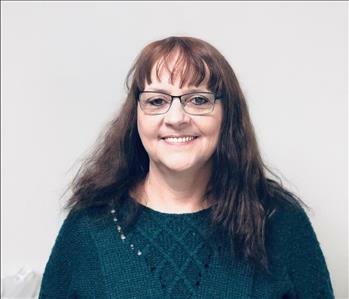 Having been a part of a small town my entire life and knowing many people in this community, I always wanted to do more to help out, so I worked my way up to becoming part owner so that I could do just that. I truly, truly enjoy helping people and seeing the joy on their face knowing that everything is going to be okay in their time of a complete disaster and to me it doesn't get any better! I am currently the General Manager, and Vice President for SERVPRO of MLC. I started working at SERVPRO 10 years ago as an estimator. In 2017 I became a partner in the company and was appointed to the General Manager position. I currently live in the Ludington area after having lived in Manistee for 7 years. Recently I became a father to a beautiful baby girl. 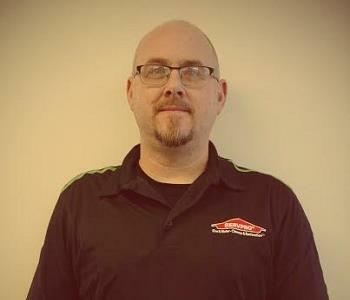 Over the years of working at SERVPRO I have served many customers, and look forward to doing so for the next 20 years. Nothing gives me more satisfaction then helping our customers make their fire, water, mold damage Like It Never Even Happened. I am a Mitigation Production Manager at SERVPRO. I have been with the company almost 4 years now and have loved every minute of it. I am newly engaged and my fiancé and I just purchased our first home right here in Ludington. 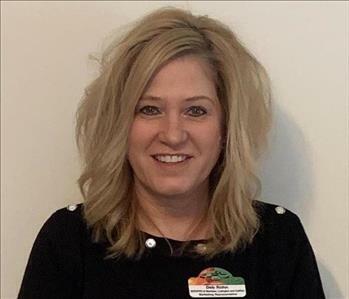 Being born and raised in Manistee and having heard such great things about SERVPRO, I was very excited to become part of the team. What I enjoy most about working for SERVPRO is pretty simply put, I like helping people. Every day I come to work knowing that I'm going to make a difference in someone's life. Every site that I go on is different so it's exciting to see what is coming next and it brings me great joy to know that I just helped bring a smile to someone's face when their world has just been flipped upside down. 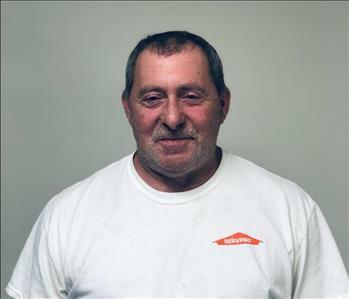 I am the Operation Manager for Reconstruction with SERVPRO at our Cadillac shop. I have over 25 years of experience in the construction industry. I obtained a degree in Architecture from Ferris State University. I was excited to secure my position at SERVPRO where you are not just an employee, you are a member of the family. I truly enjoy helping people and that is what I love most about my job here! I have been a Marketing Representative at SERVPRO for over ten years. I am happily married to my husband, Dean. My greatest love, blessings and joy are my husband, our 3 grown kids & their spouses; along with our 2 beautiful granddaughters and precious grandson. I treasure my family. We love to go to Concerts/Shows. We also enjoy visiting different places, especially any place by water. We enjoy renovating & decorating our home. Our SERVPRO Team is so easy to believe in, which makes my job easy & natural. The Owners and Team care about our customers and ensure that the Clients are receiving the highest level of Service, helping them in their time of need. Another great blessing besides knowing you are helping people, is the experience & relationships I have made, the most wonderful amazing people that I now call Friends. 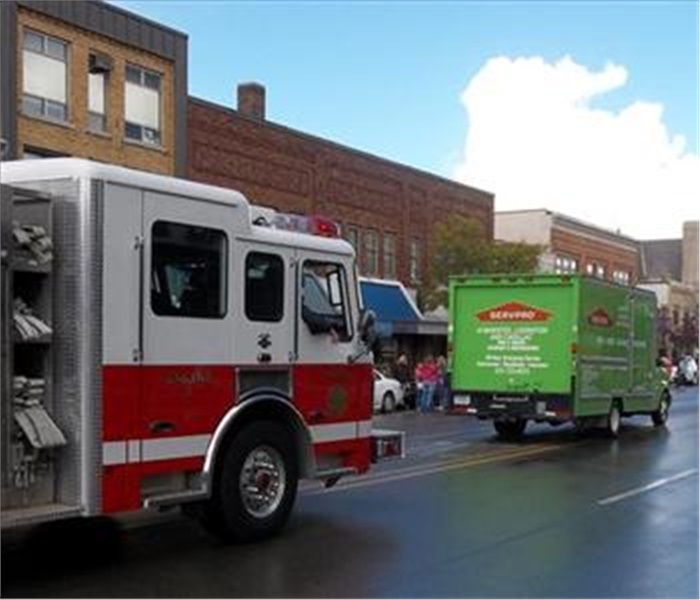 SERVPRO has allowed me time to get involved in Local Communities. I am an Ambassador for the Cadillac, Manistee & Lake City Chamber. So fortunate to work in such a beautiful area with such gracious people. SERVPRO has always had the right priorities and family is always important. I am proud to a part of the SERVPRO family. I am a Production Crew Leader here at SEVRPRO. 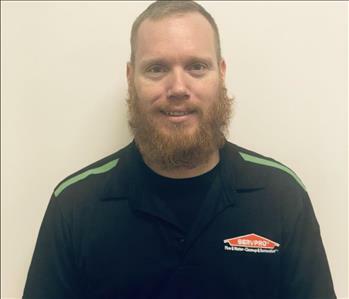 I have worked for SERVPRO for about 4 year and I feel like a member of the family. I am happily married with 4 beautiful girls and our family dogs named Marley & Barrett. I am a Army veteran and was a purple heart recipient. I was born and raised in Freesoil and graduated from there as well. I worked on the oil rigs for many years and even after my discharge from the army, I always wondered when I was going home. 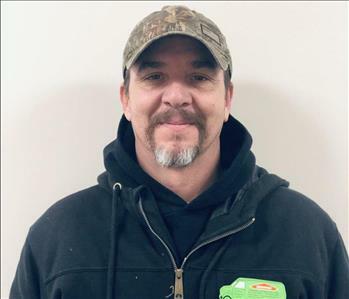 The Army and the rigs kept me away from my family for many many months at a time, and that is probably the best thing about working for SERVPRO is that I can be home with my family. I come to work knowing that I get to go home and that in its self is a blessing. First and foremost is family and I absolutely love that about SERVPRO. 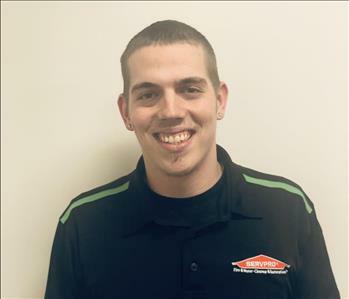 I am a Production Technician and have been with the SERVPRO family for 3 years. Being born and raised here in Mason County has given me great pride in my community. I have been married for 2 years and hope to raise a family right here in Fountain. The thing that I love so much about SERVPRO is when I go places people recognize my face, they place it as one of the people that helped get their home or place of business back in order. I enjoy helping people and seeing that look of relief and satisfaction on their faces as they walk back into their home. 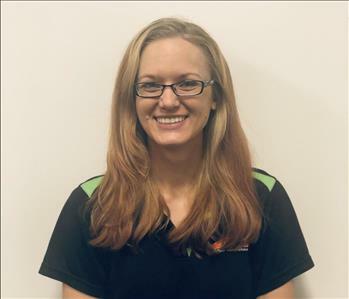 I am the Office Manager and have been with SERVPRO for 6 years. I moved to the west side of the state in 2008 after having experienced just how beautiful the area was. I have two daughters who are 36 & 30 and 3 gorgeous grand babies that keep me very much on my toes. I have very diligently been working on obtaining my bachelors degree from Davenport University. Next to that, I spend most of my free time with my girls and grandchildren. What I like best about working with SERVPRO is simply put. I like helping people. It's truly rewarding when I can help a home or business owner get the help they need to get their homes back to their preloss condition and help ease the stress they are going through. 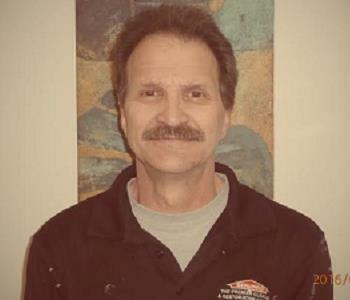 I am a Crew Chief for SERVPRO of Manistee, Ludington and Cadillac. I have been with the company for almost 4 years. I have been a licensed builder for over 28 years. I also have over 15 years in remodeling bathrooms to make them handicap accessible. 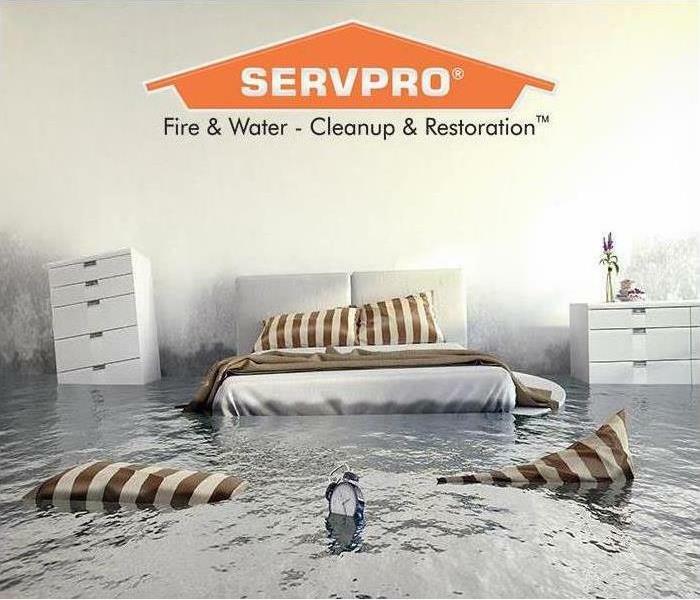 Even though I haven't been with SERVPRO for all that long, it is quite obvious the type of company it is. This is a people driven company. There are no boundaries to make the customer absolutely 100% satisfied. I am proud to answer when someone asks me where I work because I know that it is followed up by a story about a job we did and how we did a great job and the customers were over joyed. That is the kind of place where I want to be. I am a Reconstruction Carpenter. I have been with SERVPRO for about a year and a half. I am very proud to say that I am born and raised right here in beautiful Manistee. I am happily married and have 2 children. What I enjoy best about working for SERVPRO is the challenge of the job. I am a construction worker at heart and a construction worker for life! 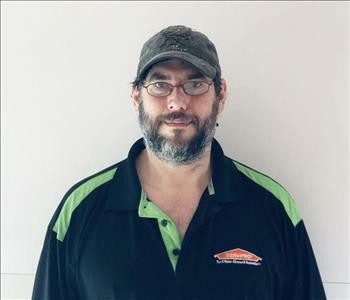 I am a Production Crew Leader and have been with SERVPRO for 7 years. I grew up in Ludington. In 1999, I moved to Manistee and have remained here every since. I am happily married to my husband Jason, also of Manistee. I have 3 children of my own and 5 step-children. I am also the happy grandma of 8 beautiful grandchildren. My husband and I love the outdoors, from fishing to riding on trails with our Jeep. I love that every job I go to is unique in it's own way and I truly just enjoy helping people. SERVPRO is a great company and I enjoy working with such a fantastic crew!! 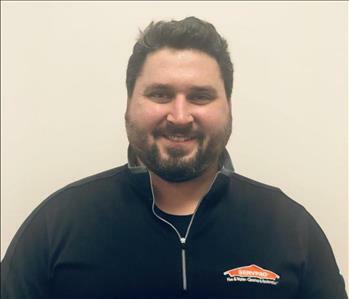 I am the West Construction Supervisor and have been with SERVPRO for since 2016. I have been a carpenter for the past 20 years. I moved into this area 15 years ago and love it. I am the father of 4 children. When I am not working you will find me fishing or just enjoying the outdoors. 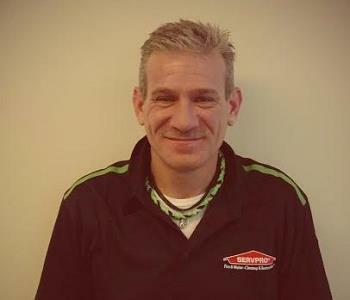 I am Production Technician at SERVPRO. I live in Ludington and started with SERVPRO as a temp. I have been part of the SERVPRO family for over a year now. I like being able to help people in any way I can. 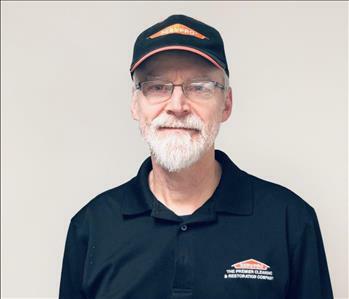 I am an Estimator and have been with SERVPRO of Manistee, Ludington and Cadillac for almost 5 years. 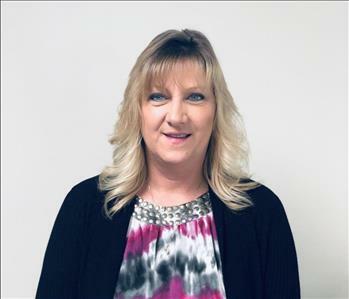 I am a Job File Coordinator and have worked at SERVPRO since early 2017. I am a lifelong resident of Mason County. I am happily married with a grown daughter, 1 grown stepson and 2 amazing grandchildren. 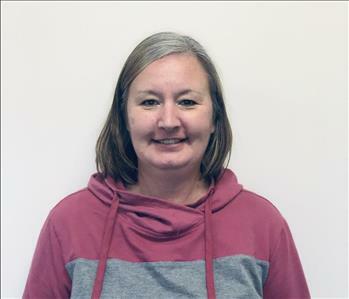 I am an Administrative Assistant in the Manistee Office. I am fairly new to the SERVPRO Family. I am very excited to learn all I can about SERVPRO. I was born and raised in Manistee. I recently bought a house in Free Soil on the Sauble River. I recently married my wonderful husband, Tim. I have 3 great Children of my own and 2 beautiful Grand Daughter’s, Payton and Jaidyn. 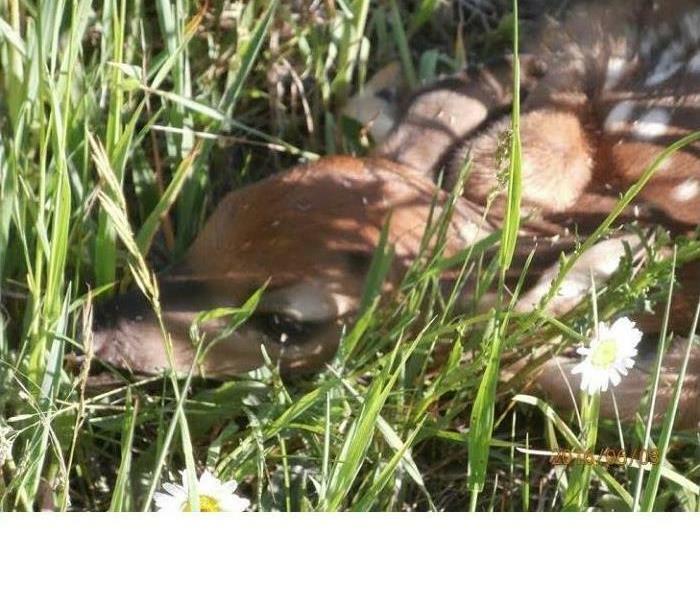 I enjoy being with family and friends, Kayaking, Fly Fishing, Bow and Rifle hunting. Squirrel hunting is my favorite kind of hunting because I like a good challenge. I have been in customer service for about 20 years. I enjoy meeting new people and helping whenever I can. Working at SERVPRO I will continue helping those in need and hopefully I can put their minds at ease during stressful times. 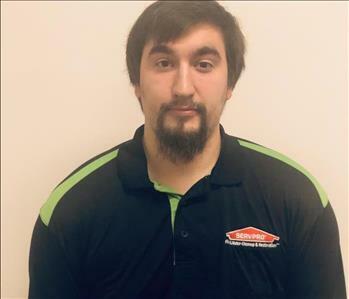 I am a Production Technician for SERVPRO and have been with the company since 2017. 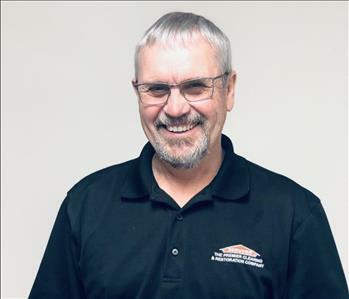 I am a Marketing Representative and have been with SERVPRO since 2018. I was born in NY but lived many years in Argentina since my family is originally from there. Moved to Michigan 2 years ago with my boyfriend after living in Florida for 16 years. Loving the change of seasons, the peaceful lifestyle and beautiful scenery. I have an extensively diverse career history but Marketing and Advertising have always been my passions. I am excited to learn as much as I can about everything we do and help our franchise develop and grow even more. 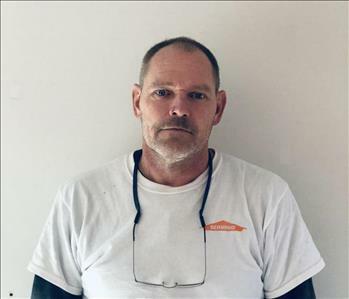 I am a Reconstruction Carpenter for SERVPRO of Manistee, Ludington and Cadillac. 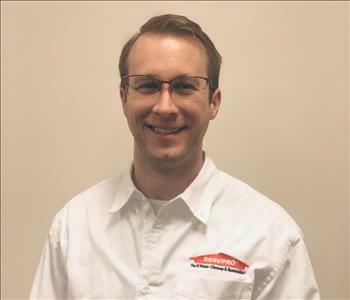 I have been part of the SERVPRO family since early 2018. 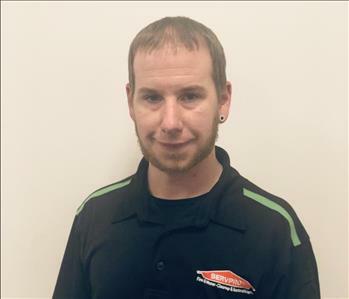 I am a Production Crew Leader and have been working for SERVPRO of Manistee, Ludington and Cadillac for 3 years. When I am not working you will find me fishing, swimming, snowboarding, gaming or riding quads. 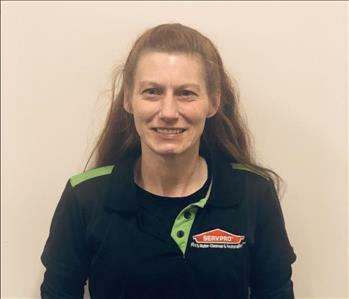 I am a Production Technician for SERVPRO of Manistee, Ludington and Cadillac and have been part of the SERVPRO family since 2017.